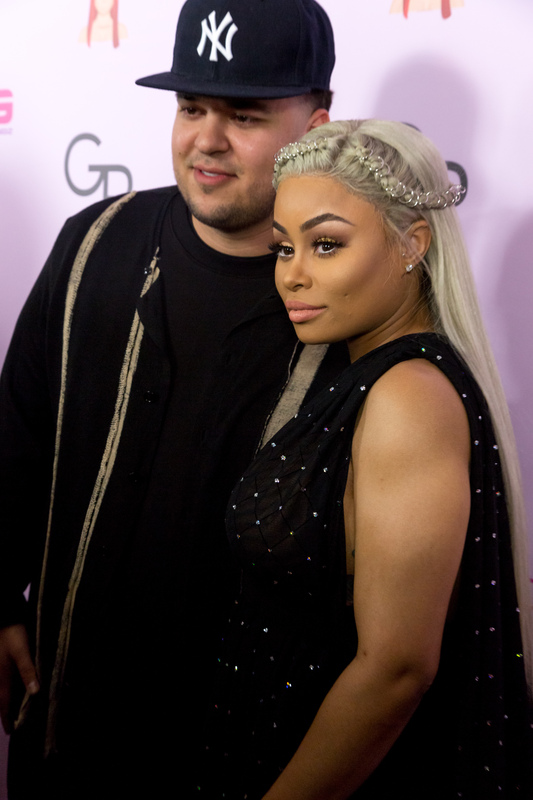 While Blac Chyna and Rob Kardashian have a baby on the way, that doesn't mean they're not already getting their parenting practice in. That's because Chyna's already the mom to a 3-year-old son named King. He frequently stars in her Snapchat and Instagram videos. In a video Chyna posted on Saturday, Kardashian helps stop King from cursing, because even though he may just be a toddler, he has a bit of a potty mouth. Before you cringe, don't worry — Kardashian has the situation under control. While it's obviously not great that a little kid added that word to his vocabulary, can you blame him? He's just a child and probably doesn't know what it actually means. There's no way of knowing where he picked it up, so no need to criticize Chyna or King's dad, Tyga. Instead, the point here is that Kardashian is set on teaching this kid — and likely his own future child — right from wrong. You've got to applaud him for that. Considering Kardashian comes from a big family — which includes several nieces and nephews — he's practically a pro with kids by now. And this latest lesson with King shows he takes his role as a fatherly figure very seriously. Sure, he seems like a cool guy, but that doesn't mean he'll be too laid-back of a parent. Plus, since Chyna shared the video herself, it's OK to laugh a little at the misunderstanding. King's enthusiasm and naiveté are pretty precious. Kids really do say the darnedest things.